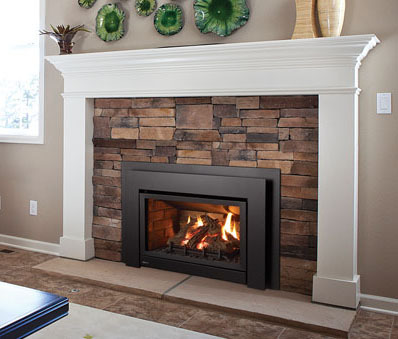 W 41.5" X H 36"
W 36" X H 35.25"
W 41.687" X H 36.687"
W 32.25" X H 24.1875"
Natural Gas Fireplaces are an effective heating system with the added pleasure of bright glow and flickering flame. 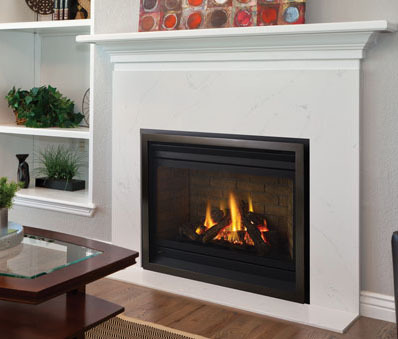 • Fireplace inserts: If you already have a wood-burning fireplace, you can easily convert it to natural gas. 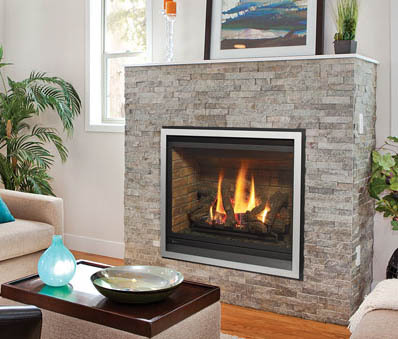 Inserts fit into your existing fireplace and use your home’s existing chimney. 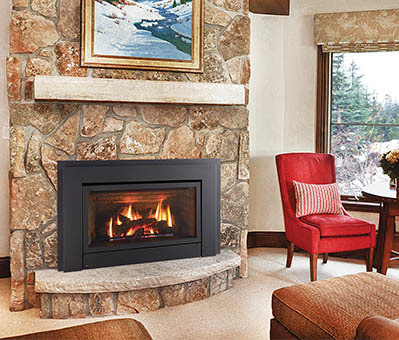 • Direct vent fireplaces: These sealed units draw outside air in and don’t need a chimney or flue—they’re the ideal solution if you don’t have an existing chimney. 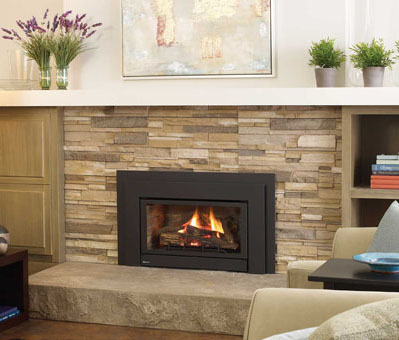 • Freestanding fireplaces: These can be installed almost anywhere in your home, often with little or no renovation. And they’re another great option if you don’t have a chimney. 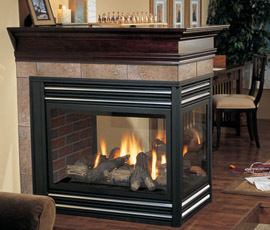 We are licensed to install and maintain your natural gas fireplace for you. • Have it serviced every year. • Review your manufacturer’s instructions for maintenance and use. • Never leave children alone near a gas fireplace. Use a screen or protective barrier to keep them away from the glass. 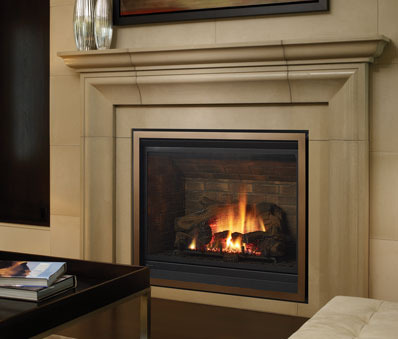 • Do not place flammable materials near your fireplace. • If your pilot light or flame goes out, follow the lighting steps in your manufacturer’s instructions. 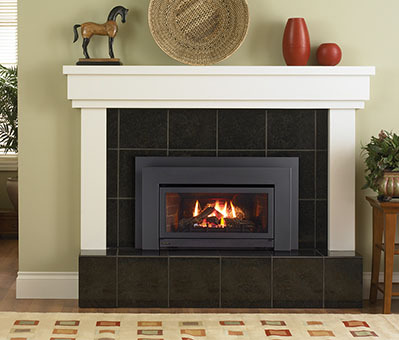 • Ensure that your fireplace is turned completely off when not in use. • Never wipe the glass of a hot fireplace with a damp cloth. It could cause the glass to crack. 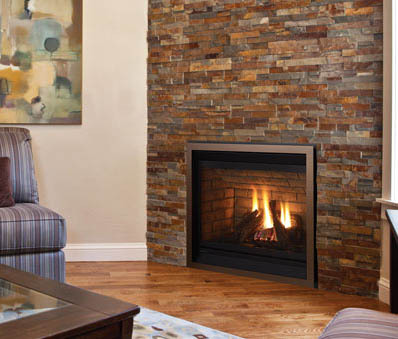 • Never use a fireplace with cracked glass.